A Renewal of Vows Ceremony is a wonderful way of publicly declaring your love and commitment to one another. You may choose to have an intimate ceremony inviting just close family and friends, or a big celebration to mark the occasion. 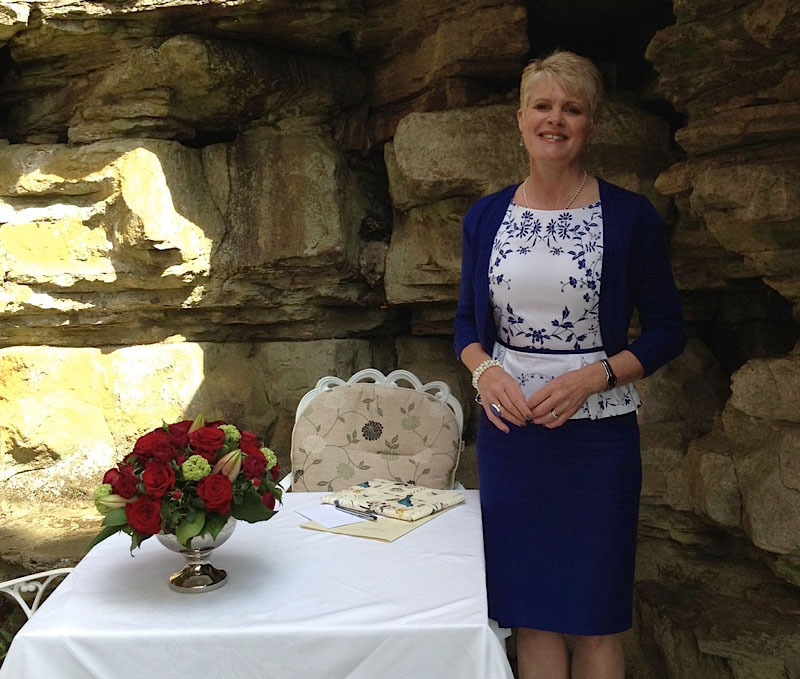 Creative Celebrant, Bernadette, can offer a truly magical and memorable ceremony, to reflect the individual tastes, styles, and personalities of couples of all ages, from all walks of life. 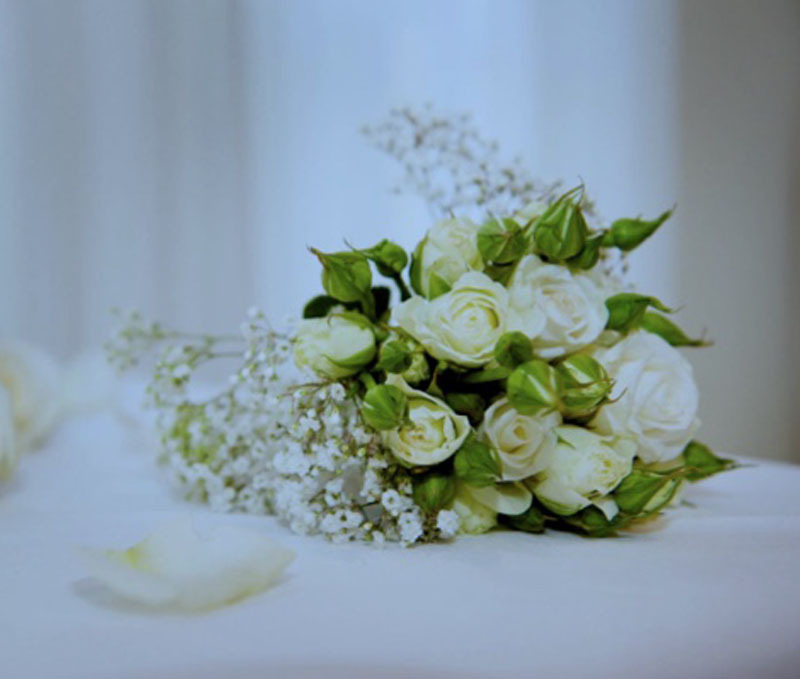 The content of your ceremony will reflect your hopes and aspirations for your future together. Music is a great way to personalise the ceremony and create a warm, relaxed atmosphere. Readings and poetry are always an intimate part of the ceremony and can be traditional or contemporary, with religious or symbolic elements included. The presentation of a commemorative certificate, will mark the perfect end to a meaningful and touching day enjoyed by all. Most important of all, the venue can be anywhere. It is your choice! Bernadette will conduct the ceremony at anytime, anywhere. It is a fantastic opportunity to celebrate in the privacy of your own home, a place of worship, church or chapel, or maybe a marquee in private grounds. On a boat or barge, in a country house or village hall, Bernadette will lead you every step of the way, to create the day you dreamt about, becoming a reality! Why Choose a Renewal of Vows Ceremony? Couples who have married abroad may wish to celebrate with family and friends back home. A great way to re affirm their commitment to one another in front of their loved ones. To renew wedding vows and finally have the big wedding day dreamt of those years ago. To celebrate a milestone occasion, such as a 10th, 25th, or even 50th wedding anniversary, letting the World know that you would do it all over again! After difficult or traumatic times, a couples’ way of reaffirming their love and commitment to each other. After a civil ceremony, a way to incorporate religious or cultural beliefs into a couple’s union. A truly thoughtful and memorable gift of thanks from children or grandchildren. recall those memories of love and excitement felt on your wedding day! Would like to say a big thank you for doing such a lovely job of conducting our renewal of wedding vows. It really made a big difference to us that you did everything so smoothly and calmly which helped keep our nerves in check. Everybody said how lovely the ceremony was.